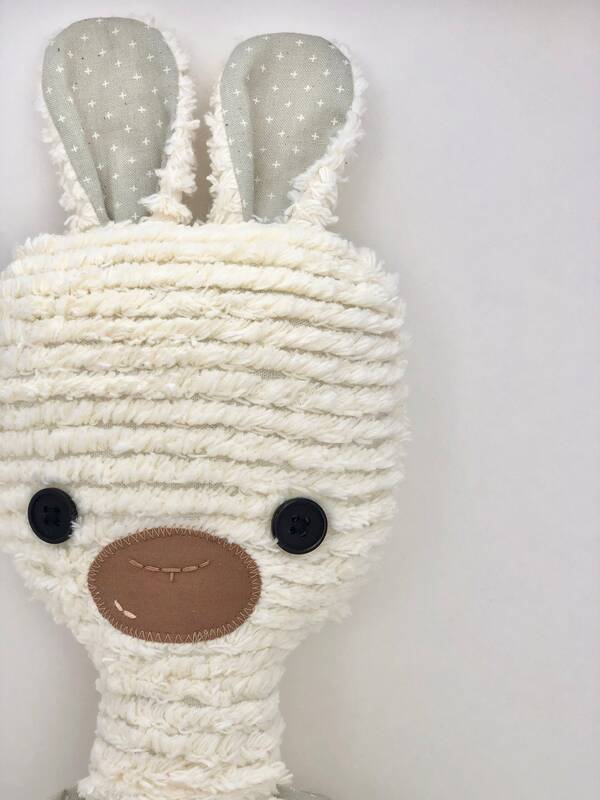 This adorable Llama was inspired by the popular children's book "Llama Llama Red Pajama". 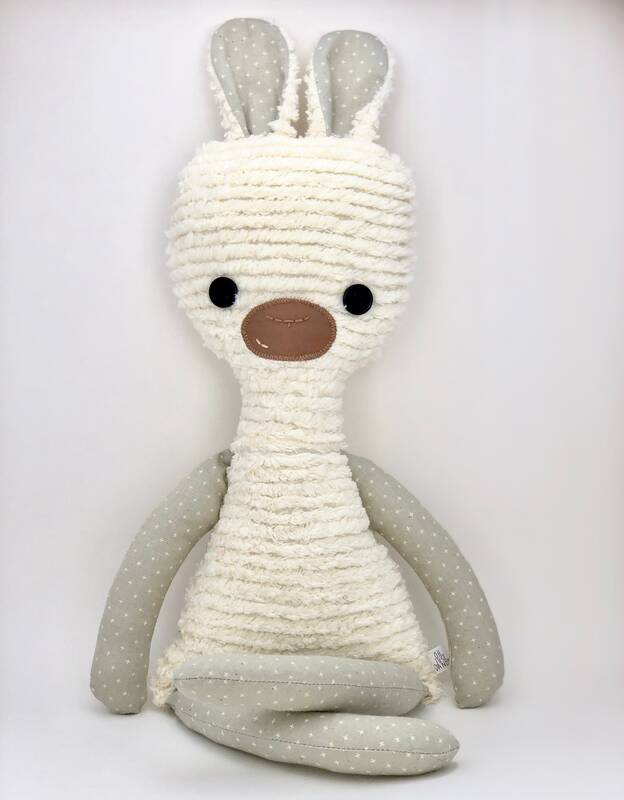 It has been hand crafted with the softest chenille and cotton fabric, and it's shape is just perfect for little ones to snuggle with. It's face has been hand embroidered on, and the two buttons for eyes have been securely hand sewn on with durable embroidery thread. It measures just about 18" from the tips of it's ears, to the bottom of it's legs. Looking for a different color/fabric style? Please feel free to convo me, or purchase the custom animal listing!